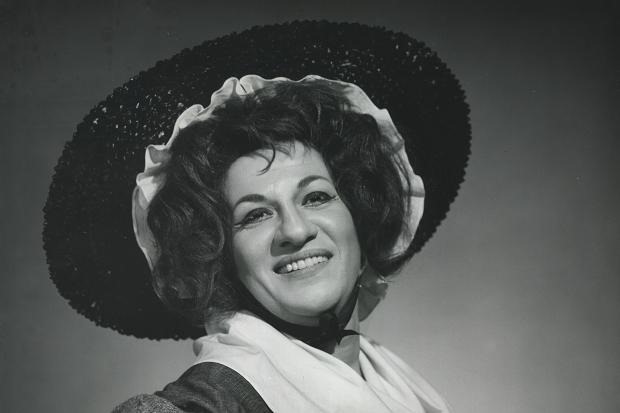 Lili Chookasian was one of the world’s leading contraltos during the 1960s and 1970s with a long and celebrated career at the Metropolitan Opera. After high school, Chookasian began studying singing seriously, and earning money singing in the choirs of Armenian churches and on the radio. She began performing professionally as an oratorio and concert singer in the 1940s, mostly in Chicago but also occasionally out of town. The main highlight of her early concert career was her performance as soloist for Mahler’s second symphony with the Chicago Symphony Orchestra, directed by Bruno Walter. During her 24-year-long career at the Met, Lili Chookasian sang many principal contralto roles and a number of secondary parts in operas by Giuseppe Verdi, Richard Wagner, Claude Debussy, Gounod, Mussorgsky, and many others. While working at the Met, Chookasian quickly became one of the leading contraltos performing on the international stage during the 1960s and 1970s, singing under the best conductors of that time, like Leopold Stokowski, Leonard Bernstein, Herbert von Karajan, and many others. She was particularly admired worldwide for her performances in Beethoven’s ninth symphony, Gustav Mahler’s symphony Das Lied von der Erde (The Song of the Earth), and above all Giuseppe Verdi’s Requiem.